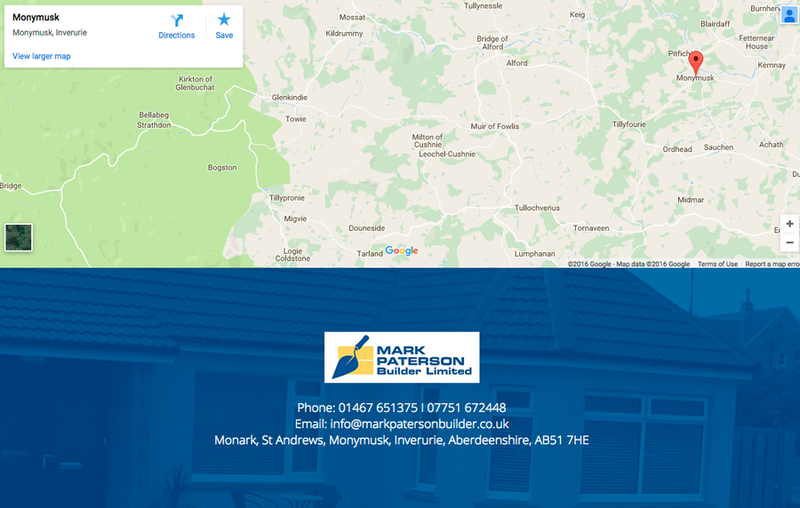 This week's website of the week goes to Mark Paterson Builder Ltd. 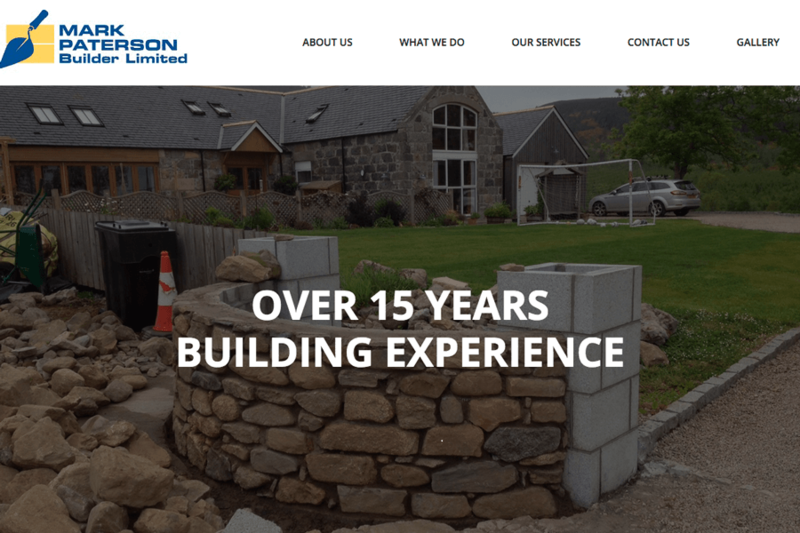 They are a well established building contractors based in Monymusk, Aberdeenshire. 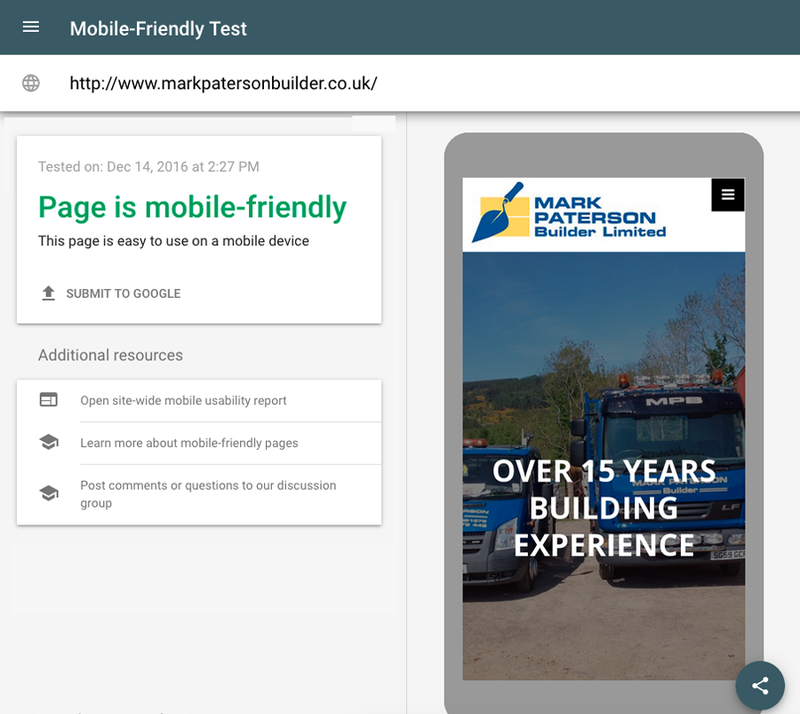 Project Manager Andy started by creating a full width panel website, with a large slide show header and parallax images. 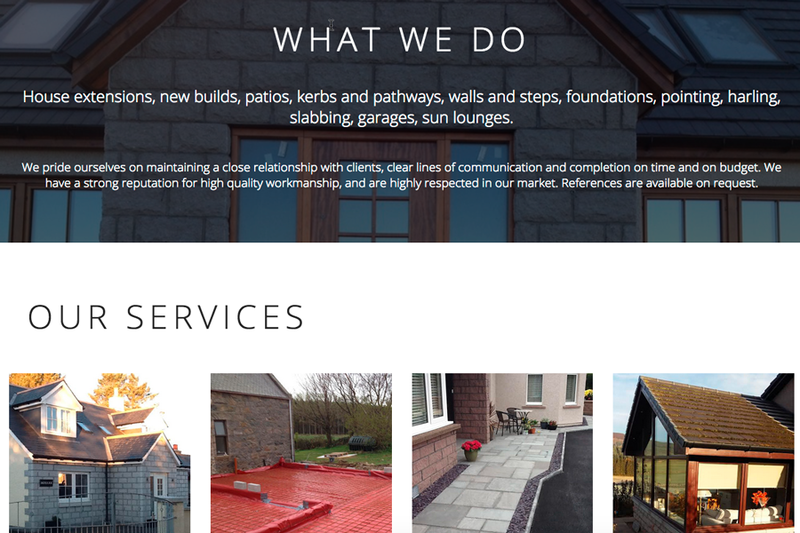 The website features a professional white colour scheme and the clients own imagery to add the splash of colour. The website features boxes to navigate to other pages and areas of the website, including a project gallery with latest projects. The website is a one page website, using anchor links from the menu item to make sure it's easy to find the information you are looking for. We include everything your web design needs in our website design packages. Did you know... that you can keep in touch with us on Social Media? We're on Facebook, Twitter, Instagram and even Pinterest!